As the year changes, so does our farm! Activities and events on Miller's Hill Farm vary from season to season. 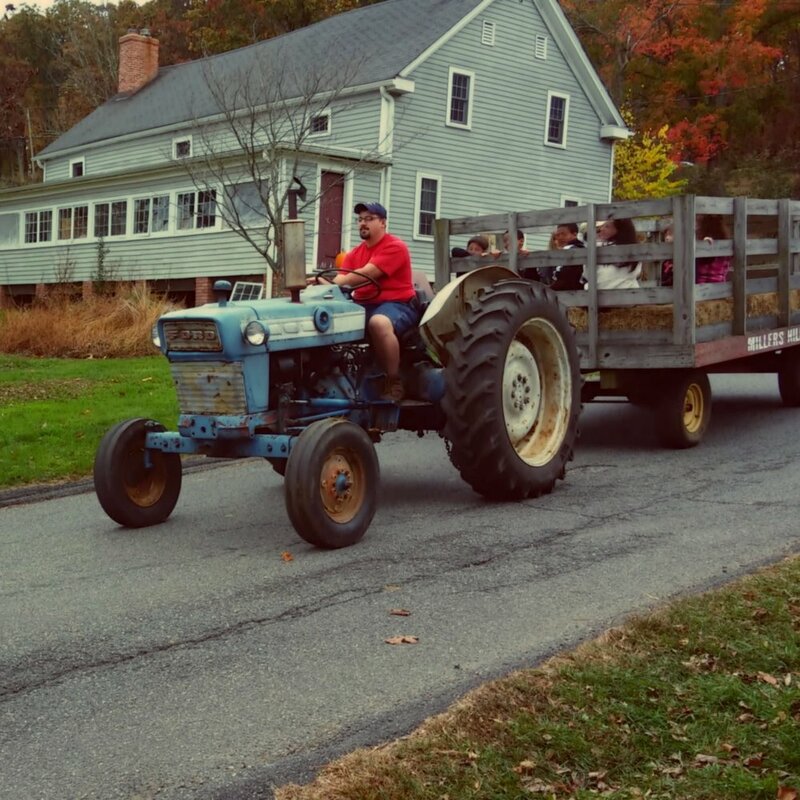 Weekends in September and October we offer hayrides to our Pumpkin Patch. Ride through the farm and chose your favorite pumpkin from the patch. Then ride back to The Shop to have it weighed. This is a great activity and photo opportunity. Hayrides are no charge and run while The Shop is open. Farm tours are available for groups or by appointment. From a personal tour of the farm to an educational school tour, we are happy to work with you to meet your needs. Call 973-543-1106 to ask about appointments and pricing.